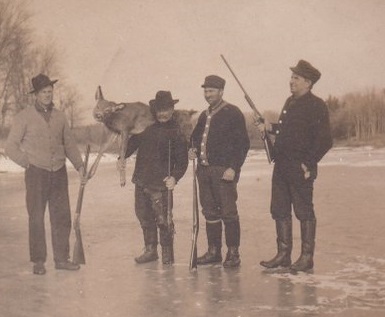 Unidentified hunters with deer. Photo from Joshua Hodson’s collection. Their identities remain lost, but Joshua Hodson apparently knew them well enough to go off hunting along a frozen river. For a father of a growing family, it was more than sport. It could mean meat on the table. I’d love to know who they are and how they connected to the family.